Accenture has confirmed it has bought independent agency Karmarama in a dramatic move by a consulting firm to move into the advertising business. Campaign broke the news earlier today that Accenture was in talks with Karmarama. Accenture, which has aggressively moved into digital and media services in recent years, vowed it is building "a new breed of agency" with Accenture Interactive and claimed Karmarama "will become part of the world’s largest digital agency". The consulting firm said: "The acquisition strengthens the ability of Accenture Interactive, part of Accenture Digital, to create and deliver integrated customer experiences to brands in the UK and beyond." Accenture added that buying Karmarama "bolsters the full suite of customer transformation services Accenture Interactive provides to brands, from customer insights to creative conception and omni-channel delivery of meaningful human experiences". An industry source suggested Karmarama has been valued at around one-and-a-half times its revenues – or as much as £50m. Accenture declined to disclose the price it paid. Karmarama’s top four executives, Jon Wilkins, executive chairman, Ben Bilboul, chief executive, Sid McGrath, chief strategy officer, and Nik Studzinski, chief creative officer, will "continue in their current roles and take on additional Accenture Interactive leadership positions" across Europe, Africa, the Middle East and Latin America. Brian Whipple, head of Accenture Interactive, said: "Acquiring a creative agency in London, where some of the world’s most iconic creative work is produced, will help us reshape how brands imagine, create, and deliver customer experiences." He added: "This will contribute to further differentiate Accenture Interactive as a new breed of agency – experience architects – which helps brands connect disconnected experiences and shares accountability with clients for their business outcomes." Anatoly Roytman, head of Accenture Interactive Europe, Africa, Middle East and Latin America, said: "Karmarama is a pioneer of modern creativity that chief marketing officers want – a big ideas agency with a deep understanding of how to connect people with brands. "Together, we have created a new industry powerhouse and one of the largest homes for digital creativity in the UK. This acquisition will help Accenture Interactive to meet growing client demand in the UK market and beyond, and will enable us more than ever to push the boundaries when it comes to creating remarkable brand experiences." Ben Bilboul, chief executive at Karmarama, said: "As part of Accenture Interactive, we will dramatically enhance our ability to offer best-in-class creativity and digital delivery." Industry observers were surprised at the prospect of a consulting firm buying a creative business. Marco Bertozzi, the global programmatic lead at Publicis Media Exchange, tweeted: "Wow cultural fit written all over that!" Liz Wilson, chief operating officer at Karmarama, gave a clue that the agency was busy planning something when she tweeted a photo of staff working at 9pm on Monday night and the message: "The night shift taking its dinner break #ThankYouTeam". Karmarama was founded in 2000 and private equity firm Phoenix invested in 2011. 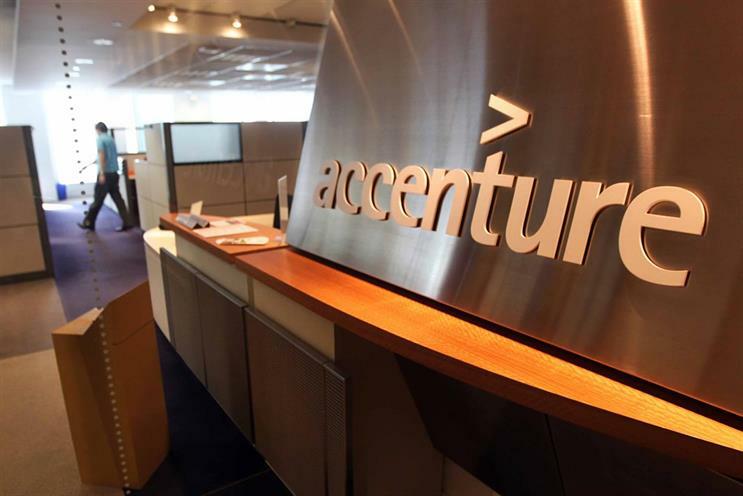 Accenture has made a number of marketing agency acquisitions including a majority stake in digital agencies IMJ Corporation in Japan, AD.Dialeto in Brazil, Pacific Link in Asia, US creative shop Chaotic Moon and Swedish digital content business Brightstep. Deloitte, KPMG, PwC and other consulting firms are also eyeing the marketing services sector, challenging the big ad groups WPP, Omnicom, Publicis Groupe, Interpublic, Dentsu and Havas.